That it's got some great make up that's a perfect fit for all those winter weddings and parties you'll have coming up. I'll be honest, I'm not your greatest source of information for highlighter reviews; I know, I know - it's make up 101, but I'm not well-versed enough to compare things to each other. 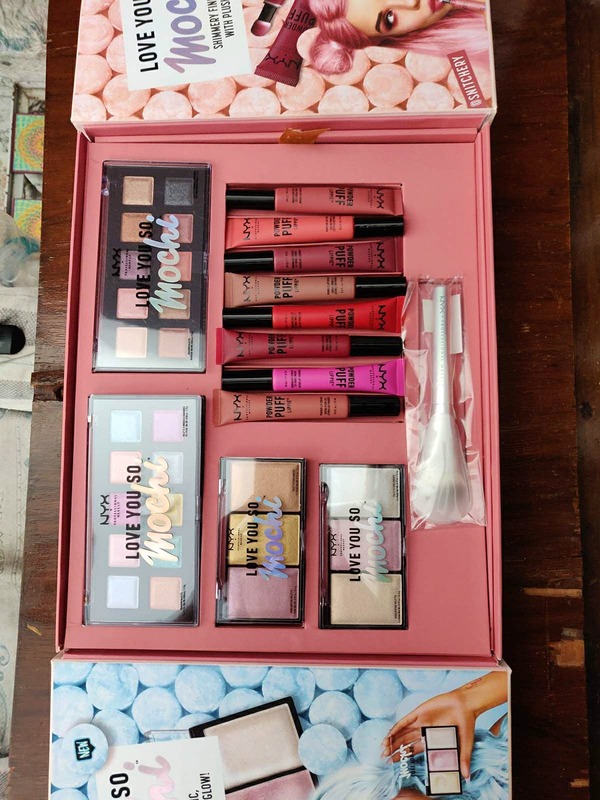 However, the Love You So Mochi range had a highlighter that I really liked; it gave my cheeks a very J-Lo-esque glow, while not making me feel like my face was delicately balancing a pancake on itself ( I tried the Arcade Glam palette). The eye shadow range had some very pretty colours (blend the bronze and the rose gold in the Sleek And Chic palette for some fun results), and if you're in the market for something a little wild, try the Electric Pastels palette. Lastly, lipsticks, something I'm much more comfortable talking about, are the coolest part of this range (in my opinion). The Powder Puff lippies are a powder-based lipstick that's super-interesting: it's a puff brush that you squeeze colour into and then apply that gives your lips really solid colour payoff. One of the most interesting (and long-lasting) lipsticks I've tried. I feel like this is the kind of range that would've done well with some coloured mascara. Wear a strong liner with the subtler eye-shadow shades, or your eyes will look a little washed out.